I gained greater insights on this EFT Course with Tania into the working of the human mind than in my 15 years working in mental health within the NHS. 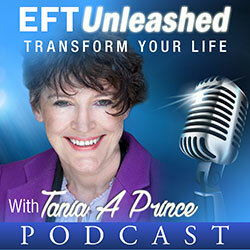 EFT techniques are fast, efficient and get to the root of the problem more quickly than any of the psychological therapies I have previously had at my disposal. Tania, I am absolutely amazed at your superb skills as a trainer on this course- and so appreciative of the sensitive way in which you managed to keep me engaged at all times, with the group and able to regain, “a good space”, every time things threatened to overwhelm me. If all trainers were like you, people with major difficulties like me would find life so much easier. You were flexible, adaptive and focussed throughout and I will never be able to thank you enough for making what could have been a devastating experience so positive and enjoyable- even though it was hard work! Thank you……… from my heart. P.S: You will probably not realise just how much it meant to me to finish a course dry-eyed! Great course, all the techniques covered very thoroughly; very supportive and relaxed environment; Really has given me the confidence to take it to the next level. 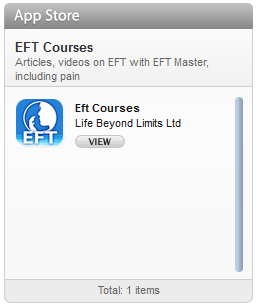 The EFT Level 2 has been an extremely enjoyable experience. It has given me the opportunity to gain a better insight of the power of the meridian therapies and the benefits of the use of EFT in particular. I have found EFT to be a simple yet effective method of clearing personal problems and clearing blockages that may have prevented progress in both my personal and working life. I have really enjoyed the two days. It was a supportive and creative group. The content was varied and interesting. The teaching style was fun, I remained engaged throughout. I feel competent now to practice these skills and develop further. 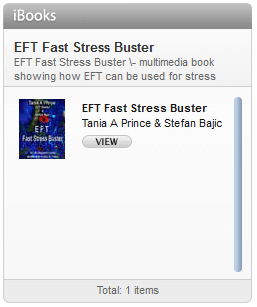 I really believe in EFT, and the course has confirmed and demonstrated the benefits of EFT.